Back by popular demand, JDA’s Cheernastics Classes offer a great combination of cheer jumps and stunts, with tumbling skills! Perfect for the young student wanting to learn cheer basics! We also offer Tumbling Only Classes for levels beginner to advanced! 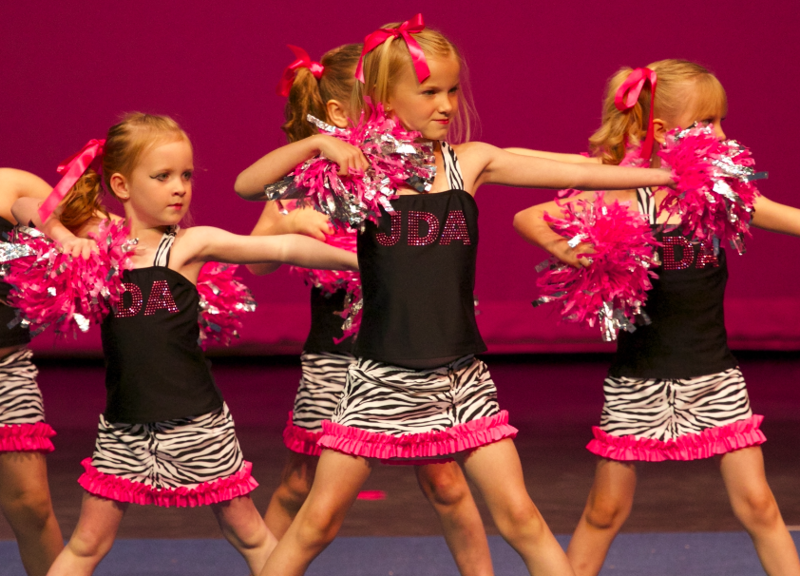 Cheernastics (Age 5-7): Cheerleading and gymnastics, basic to advanced skills. Instruction will consist of gymnastics and cheerleading motions and skilled technique combined with rhythmic movements to music. Individuals will also work at his/her level of ability on gymnastic elements including but not limited to: cart wheels, round offs, back walkovers, back handsprings, round off back handsprings, cheerleading jumps, etc. Students will learn how to show personality and showmanship. This class will build confidence in each student and will provide the skills needed for advancement in Cheerleading. Attire: Fitted top, shorts, tennis shoes. Tumbling (Age 5-7 by October 1st): Teaches basic tumbling concepts such as forward rolls, backbends, cartwheels, etc. and focuses on building strength and flexibility to prepare students for more advanced techniques.